Various Delhi University colleges have started releasing the second cut-off list for the Undergraduate (UG) admissions 2017. The first colleges to release the cut off were Kirori Mal College and Shri Ram College of Commerce. Popular BSc and BSc (Hons.) 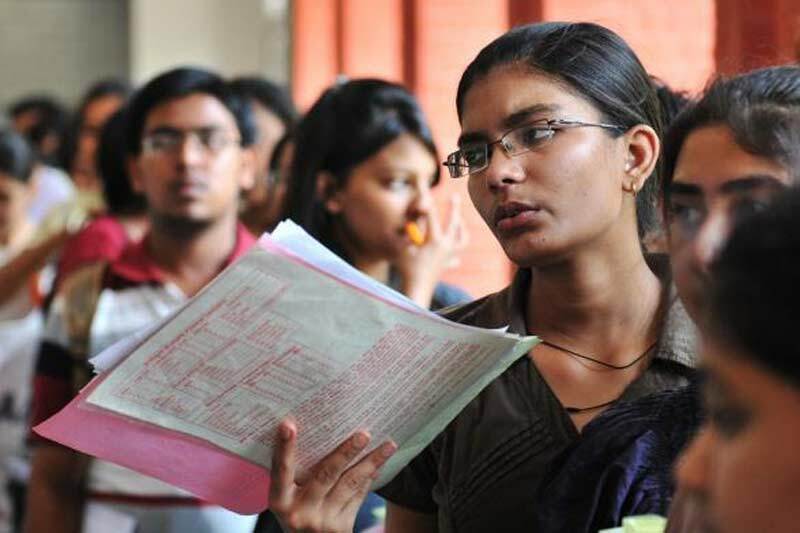 courses have failed to see a lot of admissions yet as the first DU cut off list was very high. There is a very marginal fall seen in the DU Second Cut Off. SRCC reduced the cut-off for B.Com (Hons.) only by 0.50% as 80% of the B.Com (Hons.) seat of the college are already full whereas Kirori Mal College and Shaheed Bhagat Singh College have closed admissions for courses like History (Hons.) and haven’t released any 2nd cut off list for these courses. 2.1 UPDATE : Get combine cut off list from the links below. Commerce courses like B.Com and BCom (Hons.) are the most sought after courses of Delhi University. The cut off for these courses in the first list was very high but still many top DU Colleges saw a lot of admissions. The Delhi University Second Cut off is out and we have seen that DU 2nd Cut off isn’t very relaxing either for the aspirants. UPDATE : Get combine cut off list from the links below. if you are facing any problems regarding admissions in any of the College under Delhi University, do let us know in comments. Make sure you subscribe to the website for further updates from Delhi University! When will list for sports quota in DU be announced?